The Ubuntunet Connect Conference is a significant gathering especially for National and Research Networks(NRENS). Organized by the Ubuntunet Alliance, the regional research and networking organization for Eastern and Southern Africa, the annual conference is hosted by member NRENs. This year’s conference was hosted by the Ethiopian NREN, EthERNET. Engineers, researchers, educators, policy makers and technocrats were present in Ethiopia’s Capital, Addis Ababa for the 10th Ubuntunet Connect Conference. There were a series of preconference workshops from 29th October which culminated in the main conference held on 2-3 November. The preconference workshops were held for three and a half days at the Addis Ababa Institute of Technology. KENET was among the large turn out and made a presentation showcasing our experience in developing a Virtual Computing Lab for the REN community. Other NRENs also made presentations on their experiences and gave views on how to better serve their members. Two KENET engineers share their experiences and lessons learnt from the Conference. I attended the 2017 UbuntuNet Alliance Service deployment clinic workshop. This was a three-day hands-on workshop, touching on the fundamentals of DevOps concepts and applying them on productive applications. We were taken through two IT automation platforms i.e Ansible and Docker, which make configuration management, application and service deployment faster and easier. Introduction to Git and Github concepts were also covered during the workshop. The guest speaker from Indiana University made a presentation on perfSONAR nodes and how it can be used to improve the network performance for institutions. The training also presented a good opportunity for me to learn of the different automation tools available for service and application deployment as well as network with participants from National Research and Education Networks (NRENs) under the UbuntuNet Alliance umbrella. The advanced routing and Border Gateway Protocol (BGP) workshop training gave me a chance to interact with engineers from other NRENs and Universities. We collaborated during the labs to build a working network that made use of advanced BGP concepts such as BGP communities and route reflectors, multihoming and aggregation. During interactions with our peers, we shared our experiences in running networks in the various countries. One surprising thing was the challenge that non-English speaking techies face when they receive equipment that only supports English. For instance, in Mozambique where the official language is Portuguese, they had to learn English in order to work with the networking equipment. We were encouraged that the NREN community in Africa is growing in terms of the physical network, bandwidth and capacity. I was greatly inspired by some NRENs in East Africa which have had great success in optimizing the network in their member institutions. This has seen most NRENs improve the Internet speeds and user satisfaction in their campuses. 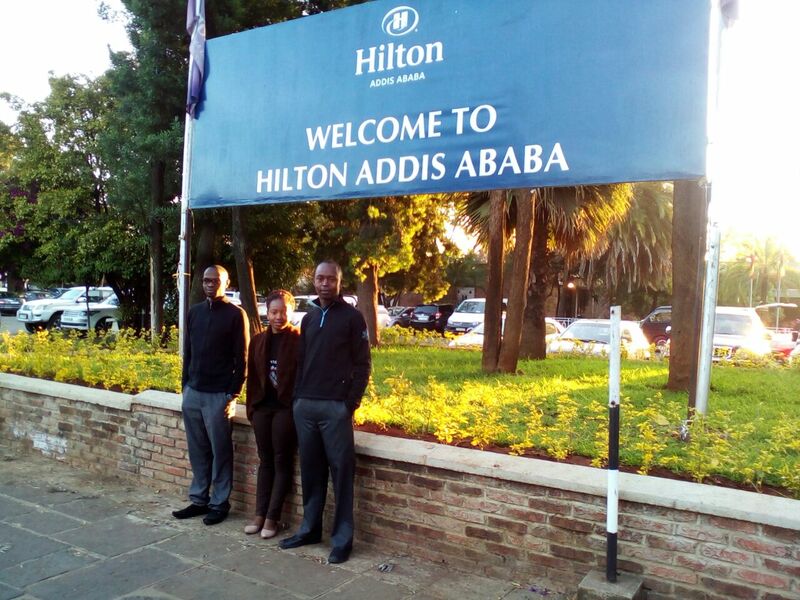 All in all, the trip to Addis Ababa was a truly enriching experience as we gained new technical skills, made new connections and experienced a different culture from what we are used to in Nairobi. We are grateful to KENET, Ubuntunet Alliance, Africa Connect2 and their partners for organizing the conference and workshops and for facilitating our travel, training and accommodation. The experience and connections made at Addis Ababa will go a long way in improving the NREN community in Africa.